Today — despite all of the legal issues surrounding her — pop star Kesha made moves to restart her career by delivering 28 new songs to her label, Sony Music Entertainment. 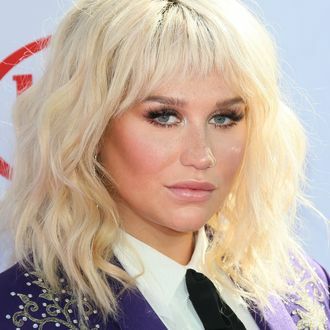 Kesha hasn’t released an album since 2012’s Warrior, and has been trying to remove herself from a six-album contract deal with producer Dr. Luke’s Kemosabe Records, an imprint under Sony Music, since October 2014, which is when she filed a civil lawsuit in California against Dr. Luke alleging that he drugged and raped her. That case, however, was put on hold when Dr. Luke retaliated with his own lawsuit against the singer in New York claiming breach of contract, which took precedent over the California case. In February, a Manhattan judge denied Kesha the right to be removed from her contract — a decision she is currently appealing. In an effort to get back to music, she filed an order today to dismiss her California claims, and gave Sony new tracks that she recorded at her own expense away from Dr. Luke. Kesha’s counsel, Daniel M. Petrocelli, said in a statement, “We have conveyed to Sony Music and the label Kesha’s strong desire to release her next album and single as soon as possible.” According to BuzzFeed News, if the record label didn’t release this music, there’s a chance Kesha could claim at court that Dr. Luke and Sony are refusing to release her songs and are themselves guilty of breach of contract. If they were to release the album, however, it would also be a big win for Kesha. Not only would she have new music on the radio, but she would be one album closer to fulfilling the exclusive recording contract she signed in 2005 when she was just 18 years old.